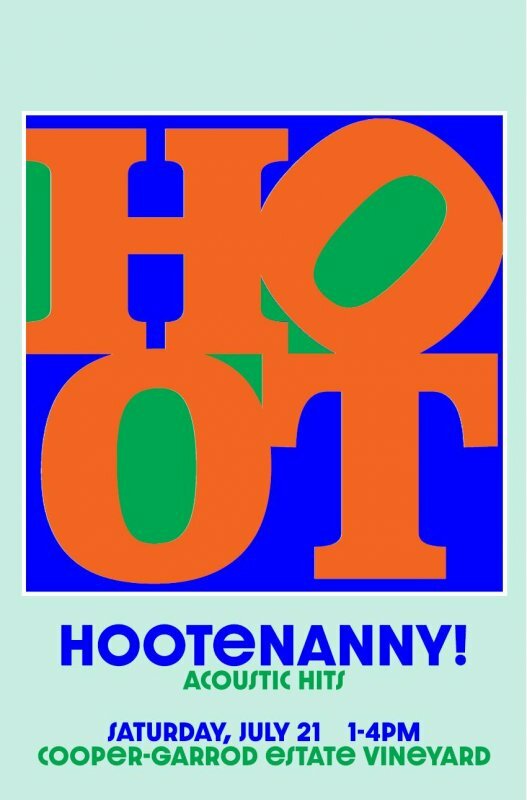 Hootenanny! at the Cooper-Garrod Estate Vineyards – Sat. Jul. 21, 2018 – Hootenanny! We’re always excited to get to play at Cooper-Garrod Estate Vineyards in the Saratoga Hills. Join us for a great afternoon of wine & music on their patio. We play 1-4pm. Plus, there are horses!! Bring a picnic, but don’t bring your own alcohol. Thanks!